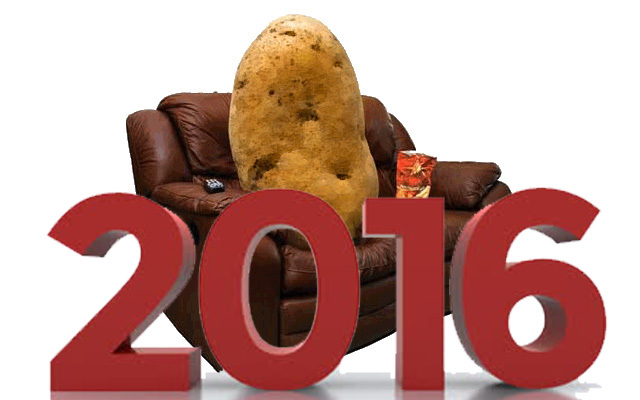 SLOUCH POTATO: Slouching Into 2016 | Warped Factor - Words in the Key of Geek. Tom Pheby takes a look at some of the television shows coming our way in 2016. What new shows will be gracing our screens in 2016? And which ones will still be there in 2017? Possibly not too many of them if history is anything to go on. As usual, 2016 promises to be a mixed bag, but if it's remembered for anything it might just be the year of the revival. Probably the most anticipated new show (if you can call it new) is the revival of The X-Files, which marches back on to our screens in January. The buzz has been very positive, but can they recapture the magic of the golden years? That remains to be seen. Another series making a belated return is Prison Break. Original stars Dominic Purcell and Wentworth Miller are both signed up for season 5, even though Miller's Michael Schofield died in the final episode 6 years ago. But before they get to filming that the pair also feature in the eagerly awaited DC's Legends of Tomorrow. In this new comic-book series, Rip Hunter travels back in time to the present day to bring together a team of heroes and villains in an attempt to prevent Vandal Savage from destroying the world and time itself. Arthur Darvill (who you'll likely remember from Doctor Who and Broadchurch) stars as Rip Hunter and it's another one that's generating lots of interest, but don't get too attached, rumours are that it's so expensive to produce that a second series may never happen. Sticking with comic-book shows, Lucifer is a loose adaptation of the comic-book character created by Neil Gaiman for the The Sandman and its spin-off comics. The series arrives at the end of January and will focus on Lucifer, "who is bored and unhappy as the Lord of Hell and resigns his throne and abandons his kingdom for the beauty of Los Angeles, where he gets his kicks helping the LAPD punish criminals." Yeah, that sounds exactly like the kind of thing Lucifer would do, right? 2016 we also see Disney's Lion King becoming a series and Red Dwarf returning to our screens after a light years absence. No trailers for them I'm afraid, just be smegging patient! Later in the year there's adaptation of the Jackie Chan/Chris Tucker martial arts/comedy/action movies arriving as Rush Hour makes it's small screen debut. Naturally neither of the two stars are involved so expect some kind of reboot premise. Another series "based on the film of the same name" is Westworld, which is coming to HBO this Summer. Described as "a dark odyssey about the dawn of artificial consciousness and the future of sin," the series tells the story of a futuristic theme park called Westworld. Jonathan Nolan (brother to Christopher) is behind the adaptation, and he's pulled in the production help of J.J. Abrams and Bryan Burk. File this one under "is nothing sacred!" First we get a tiresome remake of Thunderbirds, then Bob the Builder gets a makeover and now its the turn of the cherished Uncle Buck, originally played by the brilliant and loveable John Candy back in 1989. One more revival for you - Twin Peaks. It was set to return late in 2016 but it now looks likely that it will be pushed early into the following year. One for the diary then. And finally, one you don't have to wait very long for, the new Sherlock special. Airing on New Years Day, The Abominable Bride will stray off the modern-day version of Sherlock and will be set in Victorian times.